For many of our customers, printing on newsprint is a novel idea. But artist Rob Wilson is no stranger to the experience. 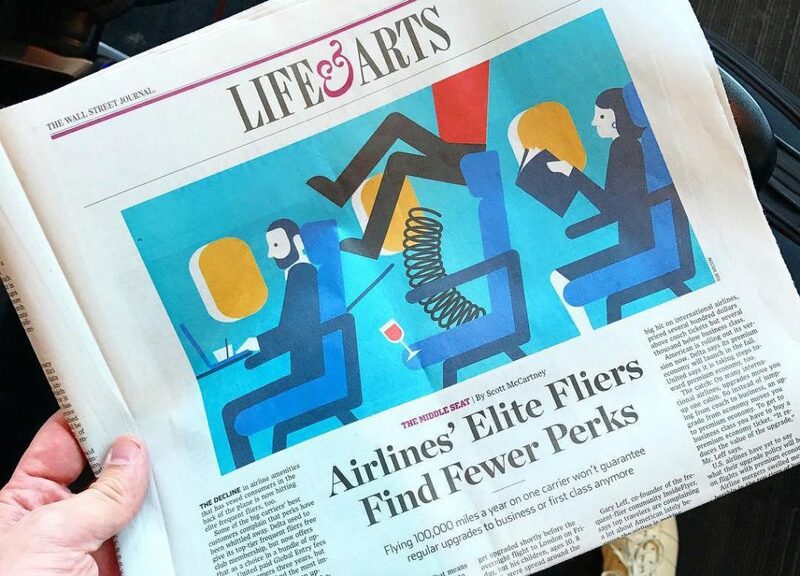 His editorial illustrations appear regularly in The Wall Street Journal – a playful take on airline travel even made the front page a couple weeks ago. Wilson, who splits his time between Dallas and Brooklyn, has also collaborated with clients like HarperCollins, Variety, and AT&T. 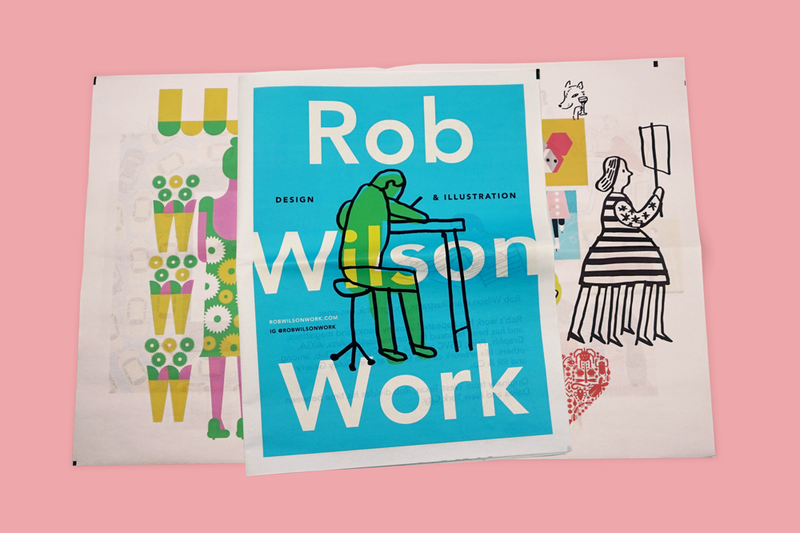 We were totally taken with Wilson's portfolio when he printed it with us as a digital tabloid – on 90gsm paper – last month. (And we weren't alone: the Dallas Society of Visual Communications recently recognised it with a neat lightbulb-shaped trophy.) With a second run of portfolios fresh off the press, Wilson talks to us about the responses he's had to his newspaper and what he's learned about printing a portfolio. Could you tell us about some of the work in your latest portfolio? Is there a project you're particularly excited about? I do a lot of editorial illustrations for newspapers and magazines, and I wanted to include them in this new portfolio. There are also quite a few fashion drawings I’ve done – a series of fashion pros and cons for the American luxury retailer Neiman Marcus, a portrait for Chanel’s creative director Karl Lagerfeld – as well as sketches I draw almost every day and post on Instagram. I also included new book cover designs, theater posters and more work for the Welcome to Night Vale podcast. It came down to some tough editing, but I was able to create a portfolio that I think highlights the best of what I’ve been doing. How are you using your newspaper and what sort of response have you had to it? I wanted a new piece to showcase recent work before I went on a series of appointments. It was intended to be a leave-behind, but it served me well as my actual portfolio. 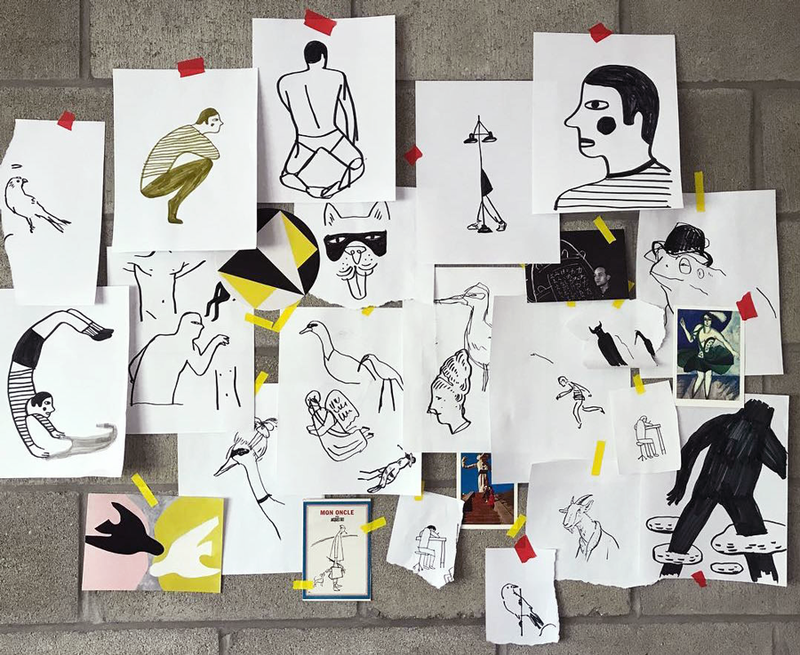 I actually designed two pieces – a tabloid newspaper for most of my work that’s bold, bright and colorful, and a second mini paper for the “Cold Medicine” series that’s a replication of one of my sketchbooks. This collection is very different from my editorial work in style and subject matter, so it worked best as a separate companion piece to my main portfolio. Both pieces were well received – when I met with The Wall Street Journal, all of the art directors were amazed by the newspapers. Any newspaper making lessons you picked up along the way? I’m glad I ordered and reviewed proofs. It gave me the opportunity to adjust the colors and the positioning of images before printing the entire order. 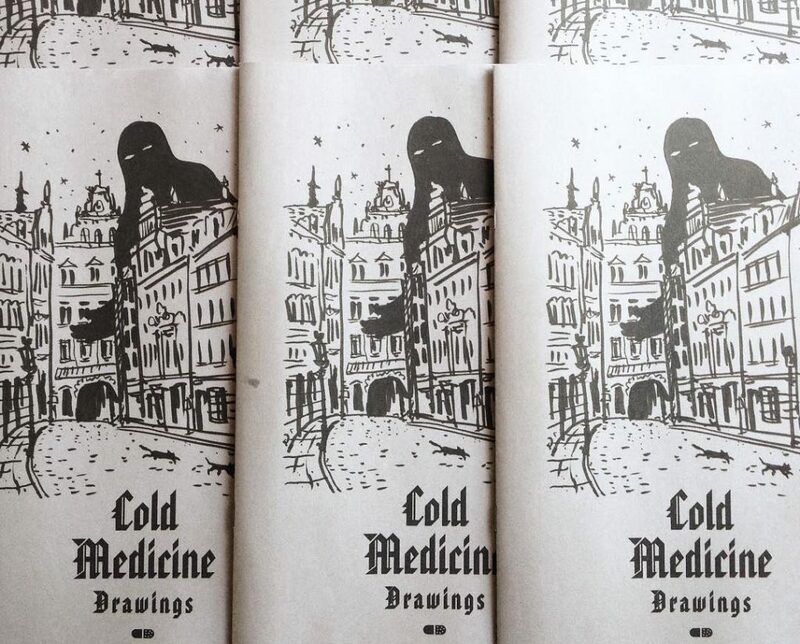 This was especially true for the Cold Medicine Drawings mini zine because I wanted the newspaper’s color to look like the paper stock in my sketchbook. I was able to get the color right on just the second try after seeing how the first proof turned out. You also do editorial illustration for The Wall Street Journal. What's your process like for a newspaper brief? Is it different than your approach to a magazine or online piece? A newspaper illustration assignment usually has a tighter turnaround than most other jobs – I sometimes have one or two days to complete an assignment, sometimes it’s needed the same day. Typically, I’m given the synopsis of the newspaper article, some creative direction and the deadline. I present multiple rough concepts for the story – usually 4-5, and after one is chosen, I take it to completion. Recently, many of the illustrations have been animated for digital editions of the newspapers, so as I work on ideas, I think of how to incorporate movement to support the concept as well. Given the time constraints, it’s a very concentrated process. Finally – where is your favourite place to read a newspaper? In my favorite coffee shops – Royal Blue Grocery or Houndstooth Coffee in Dallas, Texas, and Irving Farm Coffee Roasters or AP Café when I’m in NYC. 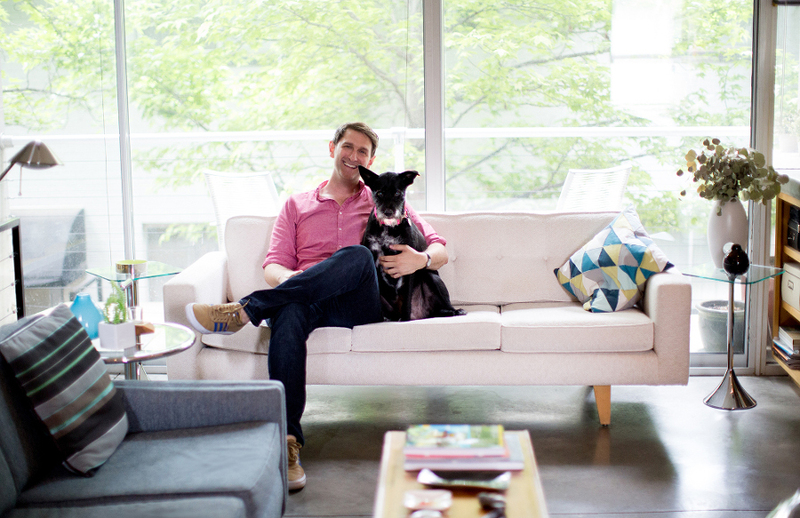 Illustrator Rob Wilson with his dog Maisie. Photo via Dog Milk. Put your work in print! Learn more about making your own newspaper with Newspaper Club.